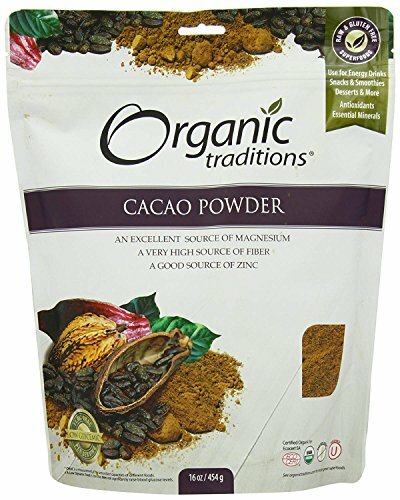 Organic Traditions Organic Powder, Cacao, 16 Ounce by Organic Traditions at Smokey Robinson Foods. MPN: OGT33. Hurry! Limited time offer. Offer valid only while supplies last. Organic Traditions is a certified organic superfood company that provides nutrient dense super foods from many healing traditions around the world. Organic Traditions is a certified organic superfood company that provides nutrient dense super foods from many healing traditions around the world. Now more than ever we need to nourish ourselves with super foods packed with the nutrition needed to support the challenges that come with living in a fast paced world. View More In Indian Seasoning. If you have any questions about this product by Organic Traditions, contact us by completing and submitting the form below. If you are looking for a specif part number, please include it with your message. LEENA SPICES – Jalfrezi Curry Masala Spice Powder – Gluten Free Pure Blend – No Salt Or Coloring - With An Easy To Cook Delicious Lamb Recipe - Enjoy Home Made Quality Food.